Be kind, be honest, be compassionate and live a meaningful life. 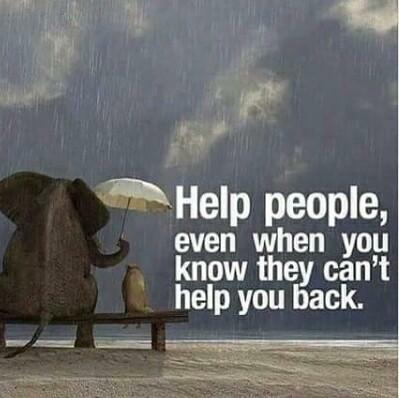 Always do good deeds, pray daily, and lend a helping hand to someone in need, whenever required. Humanity starts with one hand at a time.... be that one hand at this moment. Be soft, don't let the world make you hard. Be gentle, don't let the people make you difficult. Be kind, don't let the realities of life steal your sweetness and make you heartless. When you know and understand how God works, you won't look down on no one , but treat everyone with respect. Be what will give you good admiration in this world. Think as if you are a winner and that you can complete and be inspirationally great! Whatever you do be gentle with yourself. You don't just live in this world, or your home, or your skin. You also live in someones eyes. 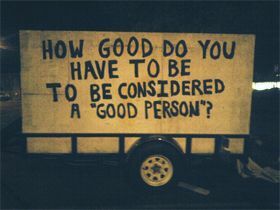 In the world that we live in, this day and age, being a good person is a very hard thing to do sometimes. Basic morals that were so important to our ancestors in the past don’t seem to matter much to everyone anymore. Moral values such as dignity, loyalty, determination, kindness, and compassionateness are values that aren’t found in everybody anymore. As a matter of fact in some parts of the world trying to find people who value these qualities is sort of like looking for a needle in a haystack. A simple way to ensure that you are being a good person, and more than likely being the best person that you can be is to treat others the way in which you want to be treated. Do things for others that you would expect someone to do for you, and don’t do things to others that you in turn would not appreciate if they were done to you.